Requires a 70/400 Top. Diameter: 2.75". COMMENTS: This jar is perfect for my creams! I feel it offers extra protection with the double wall and it looks very nice. My products look so good in them. COMMENTS: I find these jars very easy to work with. They look clean and fresh. They keep my products fresh. "Perfect for my dry skin facial cleanser"
COMMENTS: I wanted the double wall jar due to this cleanser has butter and essential oils inside. Plus being white it shows so much nicer. 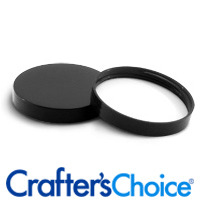 this with the dome lid, it really presents itself very nicely to my customers, I ordered the 4 oz size, glad I did. Will buy again! "4 oz. double wall jars"
COMMENTS: perfect for my face moisturizer. A classy looking jar. COMMENTS: I love these jars for my body butters. The double wall design helps to keep it from melting in hot weather. I have also found that they help hold the fragrance longer. • Allow for the jar to come in amber. COMMENTS: 4 oz white jars work perfect for our scrubs and butters. Easy to label and fill. They wipe clean and stack nicely for displays or transport. COMMENTS: I like double wall construction to help with melting products in higher temps or when shipping. These are clean, and easy to label. Will buy again. COMMENTS: This is a beautiful jar and with the dome lid makes the product very presentable. 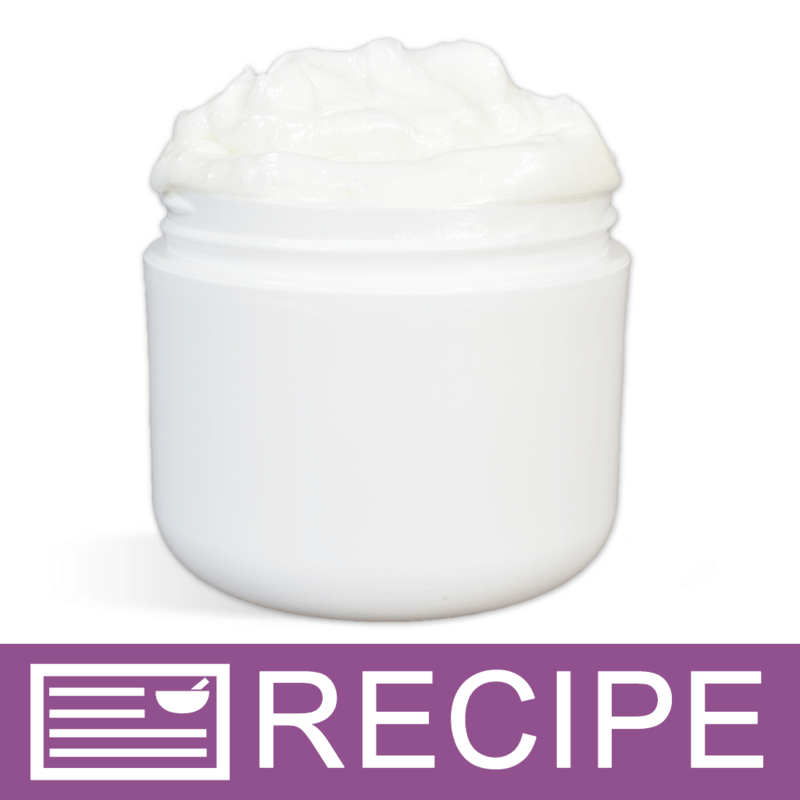 "4 oz White Double Wall Plastic Jar - 70/400 "
COMMENTS: Perfect size for my thick lotion, not too little, not too much. Perfect for purse or vanity. I was expecting to fill the jar with 3.75 oz of product but instead, it holds a full 4 oz. I love the coordinating dome tops with this jar. I plan on ordering more soon. COMMENTS: One of my favorite containers! I'd like to see them come in a variety of colors, but it doesn't really matter, they are sturdy, handsome, versatile, and I haven't had any problems with leaking. They are obe of my staple containers. "double wall white plastic jar"
COMMENTS: These containers were truly "new" and professional looking. I had bought some from another retailer and could not use them because they were in rough shape. I am about to order more only in a smaller size. COMMENTS: Great jar for body butters. Love the double wall - helps insulate the product. "Love These jars for my higher end products!" COMMENTS: Very elegant, perfect size for my facial creams, body butters and sugar scrubs! COMMENTS: Love this Jar! It holds 4.5 ounces of lotion. The design of the jar makes your product volume look bigger and I have been selling more at a higher price since using this jar. COMMENTS: I'm glad that I switched to these white double wall jars. The labels look awesome (I did a 8.5 x1.5 wrap around label) and the product looks visually appealing. Please keep these in stock! I'm well pleased. COMMENTS: These jars are the perfect "medium" size for my body butters and sugar scrubs. 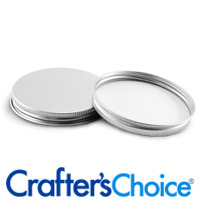 They are my best selling size of jars and keep the product in great selling condition. 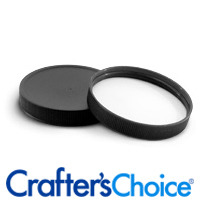 I like all my jars to be uniformed and these have worked great for me and my business. 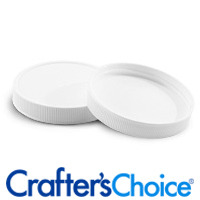 Also helps that they have a wider base opening and I can use the same size lids for these and my large jars, so can purchase lids in bulk when it is time to reorder. COMMENTS: The perfect size for curly hair cream! I love the double walled jars for added protection! COMMENTS: I love these containers better than any others I have tried in the past. I use them for tooth powder, herbal coconut oils, shea lotions, and other products I sell in my shop. Thank you! COMMENTS: The perfect size for whipped body butter! I love the double walled jars especially in the summer-they protect your product! COMMENTS: This is a wonderful jar for my body butters. Exactly what I was looking for. The jars look very professional. COMMENTS: Very sturdy and substantial. My body butters look great in these jars. COMMENTS: I use these jars for my lotions. 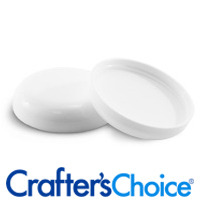 They are the perfect size to use for lotions, creams and body butters. COMMENTS: Very sturdy jars with a great look when labeled. 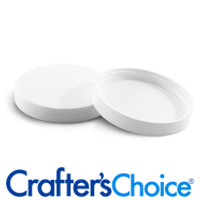 COMMENTS: I use these 4oz double wall jars for my face creams and sugar scrubs. After labeling, the finished product looks high end and my customers love them. COMMENTS: I love these jars and have been ordering them through another vendor because I thought they were cheaper. However, when they went on backorder I ordered through WSP and it turns out that after calculating in the shipping cost I had been paying more! Love the jars. And it arrived much quicker too! COMMENTS: I use these jars for beeswax salve and it is the perfect size. There is a good amount of room for a label and a lot of room inside the jar also. I can actually fit about 5 oz of product inside. COMMENTS: Another great product! These sturdy little containers hold a really nice amount of lotion, while looking sleek and clean. My customers love the amount it holds, the clean looking nature of the bottle and they hold up well when you have butter fingers! "Good lotion jar. Plain and simple." COMMENTS: If you are trying to sell lotions or creams/body butters, this is the jar for you. It looks like a kind of jar you'd pick off the shelf in a store. 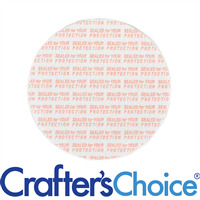 Easy to label, color is generic so it matches any color scheme when it comes to label or color of product. Five stars. COMMENTS: Nice , sturdy jar. Use it all the time for body butters. "4 oz White Double Wall Plastic Jar"
COMMENTS: I got these for my body butters and so far so good. They look very nice and there is plenty of space for nice labels as well. These have a substantial feel to them as well. COMMENTS: Use this jar for all my body butters & creams, it is attractive & heavy duty. I like that it is opaque & not see through. "High Quality and Heavy Duty"
COMMENTS: LOVE these jars. They are nice and thick, the lids fit right on and I've never had a leaking issue. "GREAT JAR, ANOTHER IS BETTER"
COMMENTS: I use this jar for my creams, lotions and scrubs. Its great. However, I tried a double wall low profile 4 oz jar and my clients prefer it instead. It's easier for them to access the products and they don't have to stick their fingers in so deep. This is a good standyby for when I run out of the low profile double wall. COMMENTS: This is great jar, very clean look. It said it's 4 oz jar, but when I put body lotion very full, it contains about 5 oz of it. 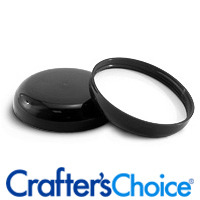 COMMENTS: I purchased these to hold my body butters and use them with the black dome cap. They look very professional and the double wall actually makes it look like it holds more product than standard 4oz jars. Thanks so much for a great product at a great price! COMMENTS: This jar makes my products look so professional I just love it! COMMENTS: Great jars and looks so professional! You won't go wrong with this one! COMMENTS: I use these jars for my Goat's milk and aloe cream as well as my diaper rash cream. They look very professional. Nice jars. COMMENTS: I have been packaging many of my creams in these jars. They are great for formulas that are too think for a bottle. They hold only 4 oz., but look like they can hold more. All customers who have purchased my creams and body butters have commented on how professional the packaging is. "Does the labels recommended wrap around the whole jar? " Staff Answer We do not carry a label that would wrap around the entire jar. This jar has a 9" circumference. 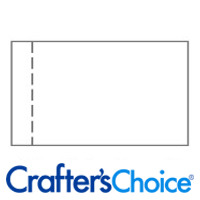 "What labels on Wholesale Supplies Plus is best recommended for these jars?" Staff Answer The 4.0 x 1.3" or 4.0 x 1.5" rectangle label would work on this jar. "Can these jars withstand heat? If not which jar that you sell can withstand small amounts of heat? I'm looking for jars for hard sugar body wax. They need 10-15 seconds in the microwave. " Staff Answer We do not suggest placing any of our plastic containers in the microwave. However, our double wall jars are our sturdiest jars. "Are these jars safe to use with Essential Oils?" Staff Answer The resistance for PP plastic is Fragrance Oil greater than 15%: Poor; Essential Oil greater than 5%: Poor. SO these jars are safe to use with Essential Oils up to 5%. I would not recommend these jars, the essential oils will make the plastic to get weak. Which will led to leaks and lost of your oils. "Is the 4 ounce white double wall jar a round bottom?" Staff Answer Yes, this has a rounded bottom. If you enlarge the picture, you will be able to see the bottom. It is exactly like the Black 4oz Double Wall Plastic Jar, if you are having trouble seeing the rounded bottom of the white jar.